The new Ultro-flow single room heat retention unit is a continuously running, low energy, alternate flow supply and extract fan with heat retention. The unit is designed for use in habitable areas such as living rooms, bedrooms, dining rooms, basements and hallways. The unit helps a room breathe, reducing indoor air pollutants and humidity levels, making it ideal for tackling problems associated with condensation. 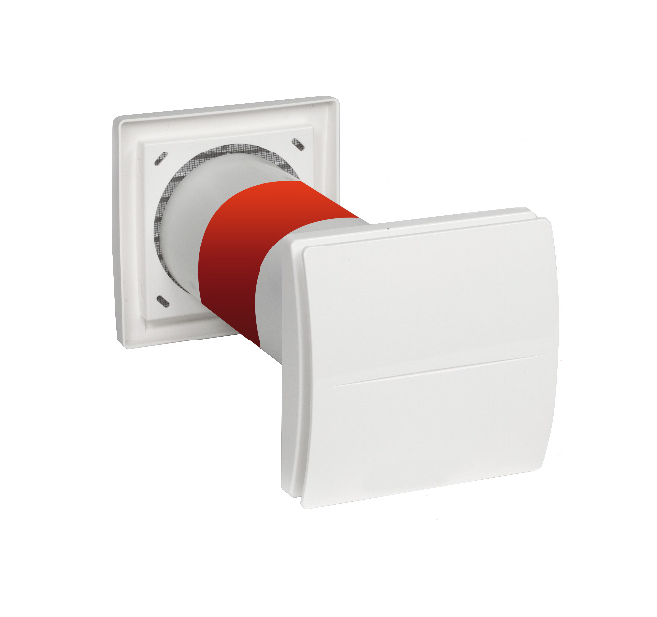 Every 70 seconds the Ultro-flow heat retention fan alternates between extract and supply modes. In extract mode, the unit’s ceramic heat exchanger is warmed from the outgoing air. The incoming air in turn is warmed by the heat exchanger. The heat retention process avoids the short circuiting of air flows which can sometimes occur with single room heat recovery units. The units can also be installed in pairs to work in harmony as one unit extracts the other supplies, resulting in greater ventilation effectiveness through the home. By LWDadmin|2018-04-16T20:01:07+00:00March 7th, 2018|Ventilation|Comments Off on Introducing the new Ultro-flow single room heat retention unit.